Stepping up for your teammates -- that's the true test of a champion. The ninth-grade football season couldn't be off to a better start for the Hidden Valley Eagles. It's the last year of middle school and the Eagles see their last chance for the state championship in clear sight. The stakes are high, every player is at his best, and the team is playing at the top of its game. The team has made it to the district championship and the word is that the Eagles are the favorites to bring home the state championship trophy -- a dream come true. But what are these red spots going around? Can chicken pox burst the team's dream? 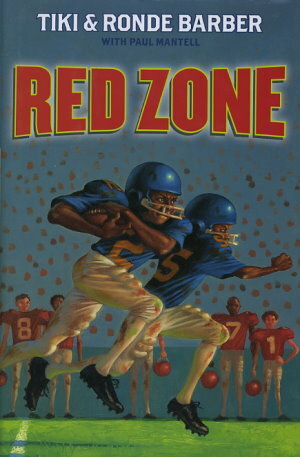 Inspired by the childhood of National Football League superstars Tiki and Ronde Barber, Red Zone is a story of teamwork, perseverance, and what it takes to be a champion.